Bon Iver news, photos, videos, etc. Hot off being named one of the “Top 10 Music Festivals in North America” by Consequence of Sound, the Eaux Claires Music & Arts Festival will officially be back in August of 2016 at the festival grounds just outside Eau Claire. The first round of pre-sale tickets goes on sale Thursday, Oct. 22 at 10am CST at www.eauxclaires.com. Justin Vernon covers Spoon's "Inside Out"
The Eaux Claires Music & Arts Festival posted a desolate video that finds its mastermind, Justin Vernon, secluded in a wooded area surrounding his April Base recording studio. Eaux Claires: "It's fun to introduce the nation to the Chippewa Valley." Michael Noyce was 20 years old when he first went on the road with Bon Iver. “… it got big really fast,” Noyce said in a long interview with Fresh Independence. “I was scared, I was so ..."
If you tuned in to Chippewa Valley Community Television any time in the last day or so, you might’ve been interrupted by glitchy visuals of grass blowing in the wind and a familiar, distorted voice saying, “Summer here comes on like a zaftig ..."
Even though no lineup has officially been announced (and won’t be for a bit), ticket presale for the Justin Vernon-curated Eaux Claires Music & Arts Festival began Dec. 18, at noon (CST). The NFL is upon us, folks. Preseason is kicking off, which leads to the regular season, which leads to the playoffs, which leads to THE PACKERS WINNING THEIR FIFTH SUPER BOWL. NPR Music premiered a new song, "Heavenly Father," by Vernon that was recorded for the soundtrack of upcoming feature film Wish I Was Here – a Zach Braff joint. Well, the Confluence Project votes are over, so you know what that means … we can get back to 24/7 Justin Vernon coverage. We just got word that Volcano Choir's recently announced Eau Claire show in UWEC's Schofield Auditorium on Saturday, October 19 has sold out. But fear not, VC fans – the band's added a second show on Sunday, October 20. Big news. We're excited to break the news that Justin Vernon's new band Volcano Choir is coming to Eau Claire for a show in UW-Eau Claire's Schofield Auditorium on Saturday, October 19, joined by special guest/local band Adelyn Rose. A ten minute mini-documentary about the making of Repave – Volcano Choir's new album (Sept. 2013). 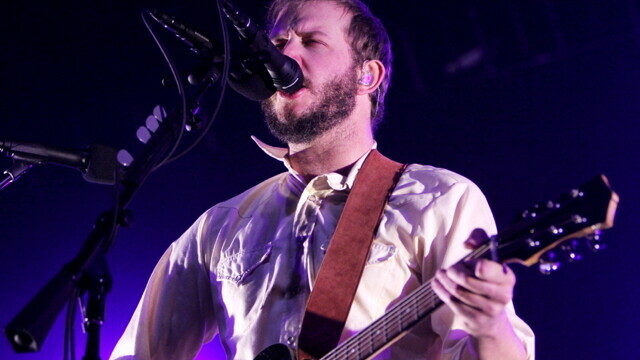 Volcano Choir includes Bon Iver's Justin Vernon. Gettin’ antsy for the new Volcano Choir record? Luck for you the band recently put out an Extended Family Spotify playlist and a brand spankin' new video for "Byegone" that should help to tide you over until September 3rd. Blind Boys of ... Wisconsin? Bon Iver tune best song about Wisconsin? Esquire recently posted a list of “The Best Songs About the 50 States,” a handpicked compilation of anthems for each of the 50 states. And guess what the pick for Wisconsin was? 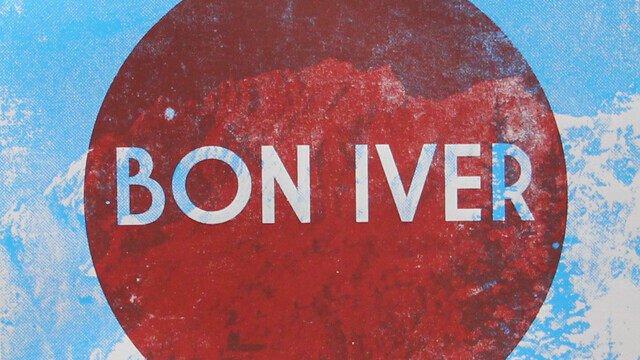 Darn right, it’s “Minnesota, WI” by Eau Claire’s own Bon Iver. Man, what a morning for Eau Claire music. First, we've got that new Laarks record to listen to and now Bon Iver's Justin Vernon has announced a new record for his collaborative project Volcano Choir. There have been rumblings for some time now about a return of the Chippewa Valley’s own Shouting Matches. That time has come. Justin Vernon to auction off locally made whiskey barrel guitar for Confluence Project got all that? The Bon Iver frontman's new imprint label will be releasing 'hometown favorites', starting with Amateur Love's "It's All Aquatic" coming in May. Official video for the tune "Towers" from Bon Iver, Bon Iver. Bon Iver’s major-category nominations for this year’s Grammys made us reflect on how Eau Claire has done overall at the prestigous awards ceremony. If you’re looking for an amazing gift for the Bon Iver fan in your family/circle of friends/Friday night Dungeons and Dragons club, The Local Store just got a petite supply of official show posters from the band’s hometown duo of Zorn Arena shows. Bon Iver performing Creature Fear at UW-Eau Claire's Zorn Arena, December 12, 2011. Posted by YouTuber mummaflower. Bon Iver performing Skinny Love at UW-Eau Claire's Zorn Arena, December 12, 2011. Posted by YouTuber mummaflower. Bon Iver performing Holocene at UW-Eau Claire's Zorn Arena, December 12, 2011. Volume One was lucky enough to get a photographer into Zorn Arena to document Bon Iver's first hometown show since 2008. Check out sound check, the crowd, opener Lianne la Havas, and of course, the band.